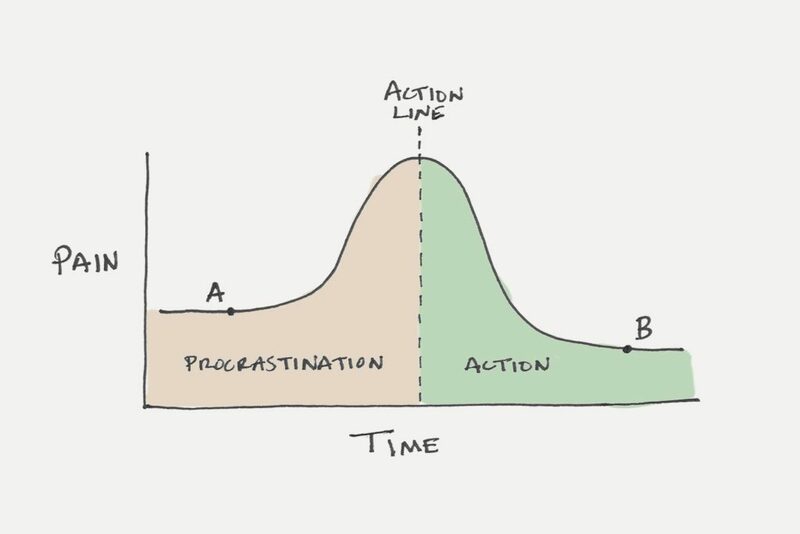 The Student Syndrome, as opposed to popular perception, is planned procrastination. For instance, an employee works with full commitment and a mindset to finish his assignment only at the last possible minute before the deadline. This, at times, reduces the potential gains that could have been realized if the due effort was put in earlier. This happens mainly because the perceived value of doing something else outweighs the value of working now, putting one under stress and pressure at a later stage. As the feeling that the tangible/intangible benefits will be received once the work is finished in future, the value of working on it right now gets reduced. But when the deadline edges near, the perceived value of completing it increases and starts outweighing the value derived from doing other things accompanied with the panic and anxiety of meeting set expectations. The Student Syndrome vindicates it. Thus to deal with this issue, the deadline itself should be preponed and a buffer should be kept between the actual deadline and the preponed deadline. With the CAT out of the bag and GD/PI dates announced, the next phase of your journey has begun. With limited time on hand, it is important that you devise a proper strategy to streamline your GD/PI preparation. Online portals will play a crucial role in bridging the information gap regarding sources for reference and also provide a platform to interact with fellow aspirants to clear doubts and pacify preparation anxiety. Reading widely acclaimed newspapers of the likes of Economic Times, The Hindu and, if time permits, magazines such as Chronicle, is critical to your preparation. Now since we are tech-savvy, referring to Economic Times and Inshorts app available on Play Store or Apple Store can help you keep updated at all times with important facts and figures. Last but not the least, never lose sight of your domain knowledge, as this serves as the benchmark in deciding where your interview might be headed. Start working on these now as opposed to 5-10 days before your interview for achieving maximum results and converting your dream b-school.